It’s been over 100 years and people in Omaha and New York have yet to agree on the where the combination of corned beef, sauerkraut, creamy swiss cheese and Russian dressing came together to form the beloved Reuben sandwich (http://reubenreport.com/?p=298 ). St. Patrick’s Day will bring out the Irish inspired green beer we wait all year long for – but that’s not all. 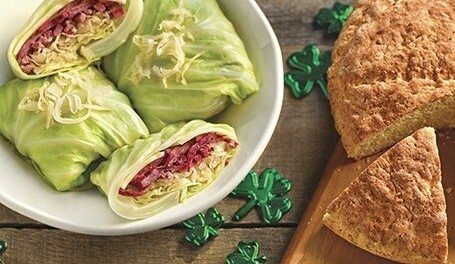 No proper Irish celebration is complete without the corned beef, Reuben sandwiches and the many food variations its inspired. 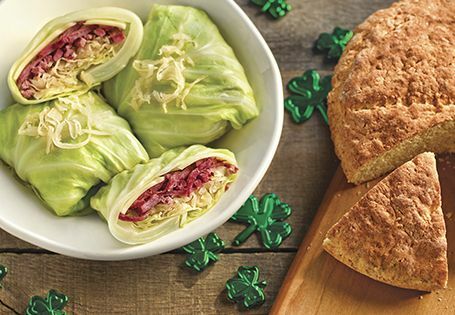 The Reuben Report gathered four shamrock themed must-try recipes in honor of the occasion. The Paddy’s Reuben Dip surpasses the average store bought chip dip and goes hand-in-hand with veggies, rye breads, crackers and more. The recipe calls for a prep time of five minutes with an additional two hours of cook time. The end result is 32 servings of delish. You will need four packages (two ounces) of thinly sliced deli corned beef, one package (eight ounces) cubed cream cheese, one can (eight ounces) sauerkraut rinsed and drained, one cup (eight ounces) sour cream, one cup (four ounces) shredded swiss cheese and rye bread or crackers. In a 1-1/2-qt. slow cooker, combine the first five ingredients. Cover and cook on low for 2 hours or until cheese is melted; stir until blended. Serve warm with bread or crackers. Yield: about 4 cups.